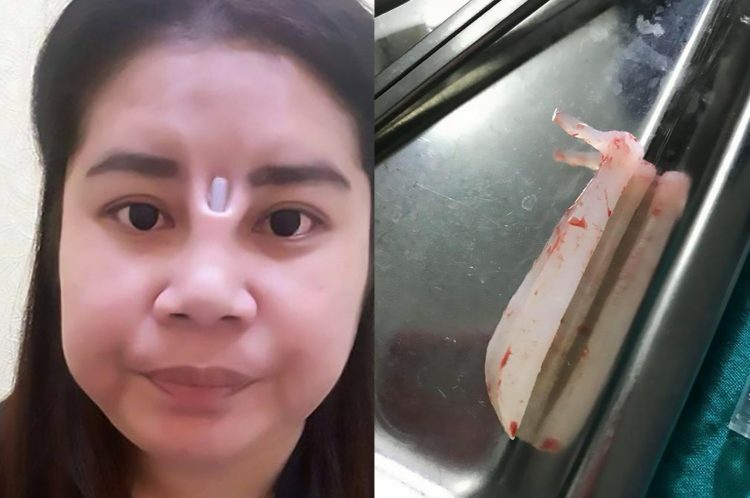 An unnamed Thai woman has shared photos of a botched nose job online to warn others not to undergo the risky procedure without first doing some research on the clinic. She underwent surgery in Thailand’s southern city of Hat Yai at an unidentified clinic offering cheap rhinoplasty. Fortunately, the woman found more sympathy in Bangkok where a plastic surgery clinic treated her and removed the implant for free. Photos show a massive crater above her nose where the implant used to be. It remains unclear how surgeons will repair the botched rhinoplasty that has left a hole in her face, or whether repair is even possible. Cosmetic surgery is popular in Asia where the media tout more defined western features as the ideal. Rhinoplasty is especially popular as Asian populations have less cartilage in their noses, so the silicone implant gives them the desired definition. The Thai woman’s experience, however, is a dire warning to women seeking similar cheap procedures. Not only did she not achieve the desired look, but she now has an unsightly scar on her previously unblemished face. 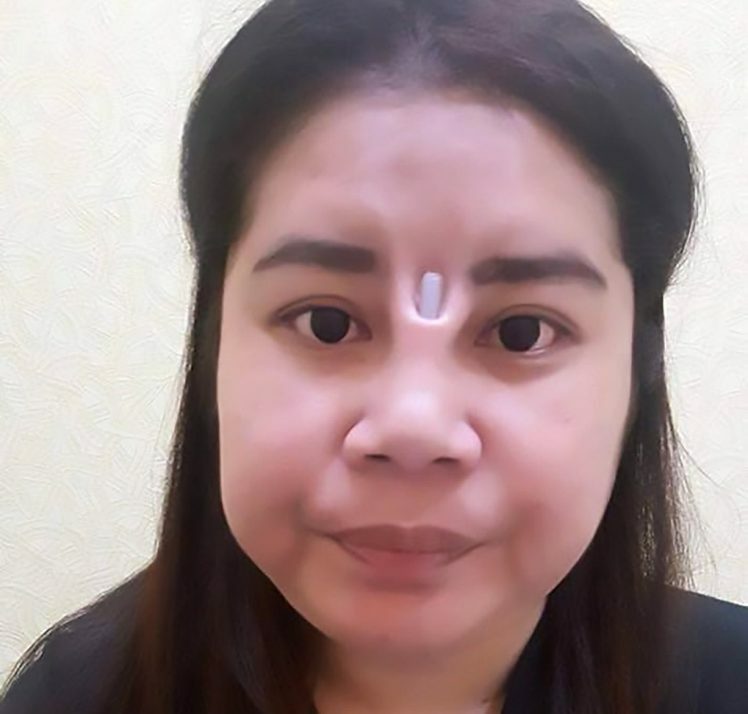 Cosmetic surgery clinics across Thailand are sharing the photos of her harrowing experience as a warning to others looking for a cheap nose job. The ghastly images have since gone viral across the world. It is currently unclear whether the woman will take legal action against the clinic.